Summer is definitely around the corner. The bush has transformed from the baron, dusty plains to a lush green oasis filled with the promise of life. New life is all around, from the Marabou stork fledglings on Tamlyns Plains to the little Impalas, Baboons, Eland and Warthogs taking their first wobbly steps in a new exiting world. 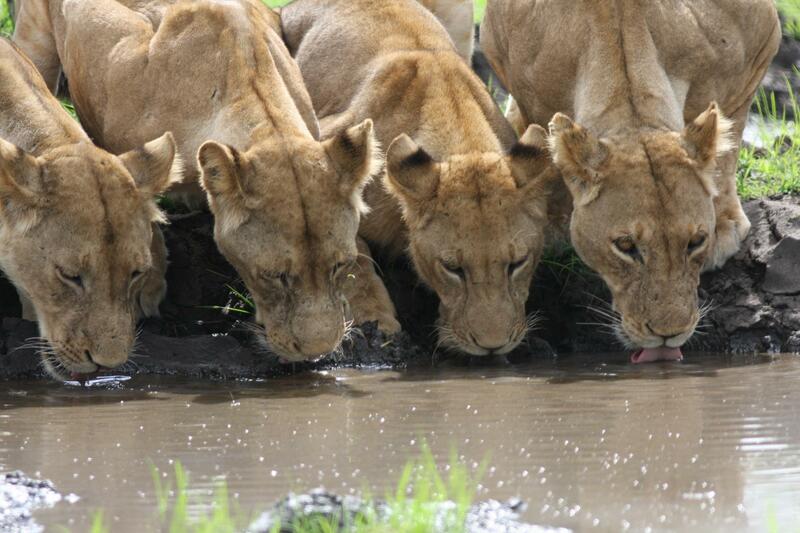 Our Lions have had a great dry season and it shows in the condition of the young whom have grown so quickly. It gets a bit harder to be a lion in the green summer months as the distribution of water will let the animal number dissipate, rather than the concentrated numbers through the dry season. With the first rains and the heat come the insects a time the Insect eating birds wait for with great anticipation. 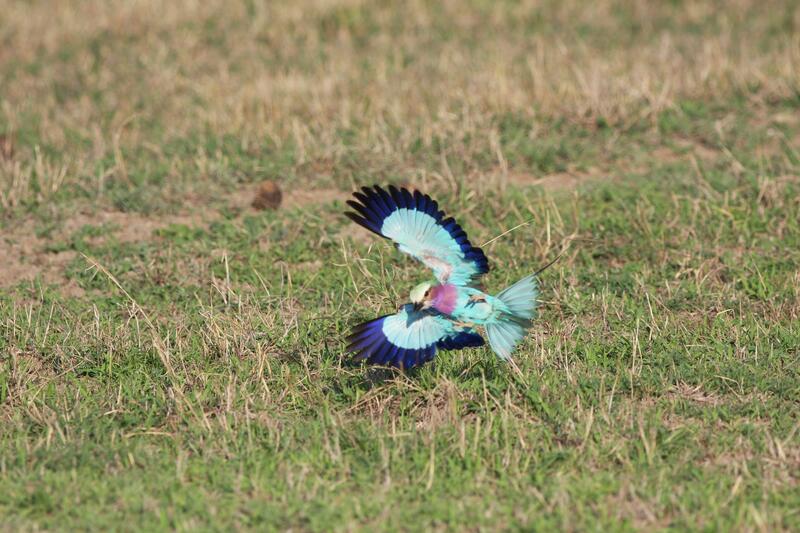 To watch a Lilac Breasted Roller hunt in flight is an awe inspiring site that is carved into ones memory for life. As colours and scent go the bush is unbeatable, the red flowers of the Burning bush or the yellow of the lion’s eye these flowers are spectacular, accompanied by the wild jasmine and fried egg plant flowers scents it makes for remarkable safaris. This time of year also brings new behaviour to light especially the females whom have given birth and who are nursing young. 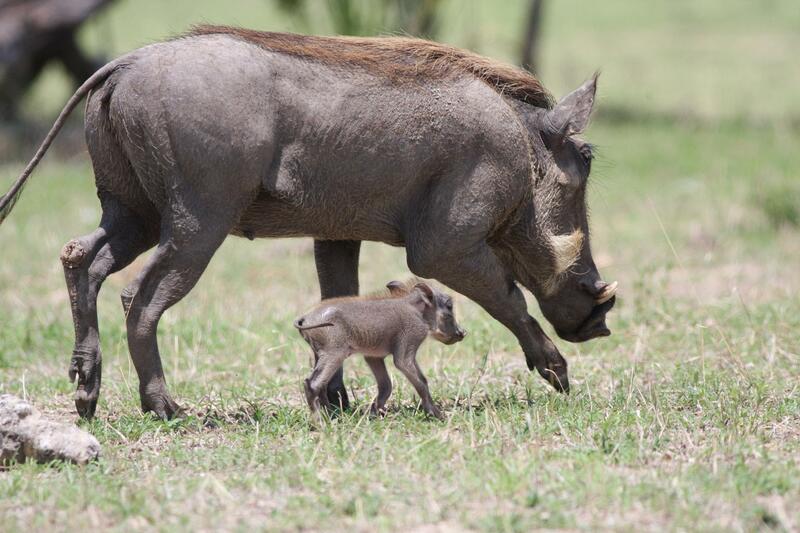 I was out a few days ago and we came across a warthog mom with a piglet. 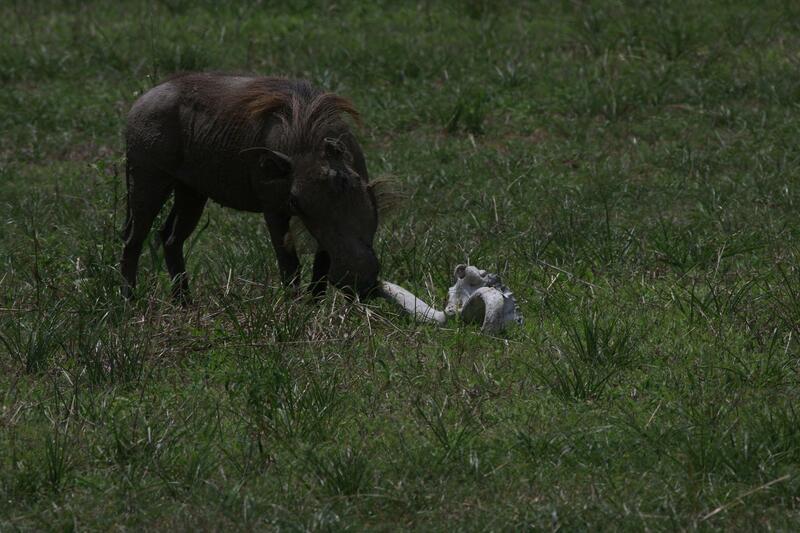 She started to chew on an old skull of a Wildebeest, a behaviour called Osteofega. This is to replenish calcium and phosphorous levels in the body. 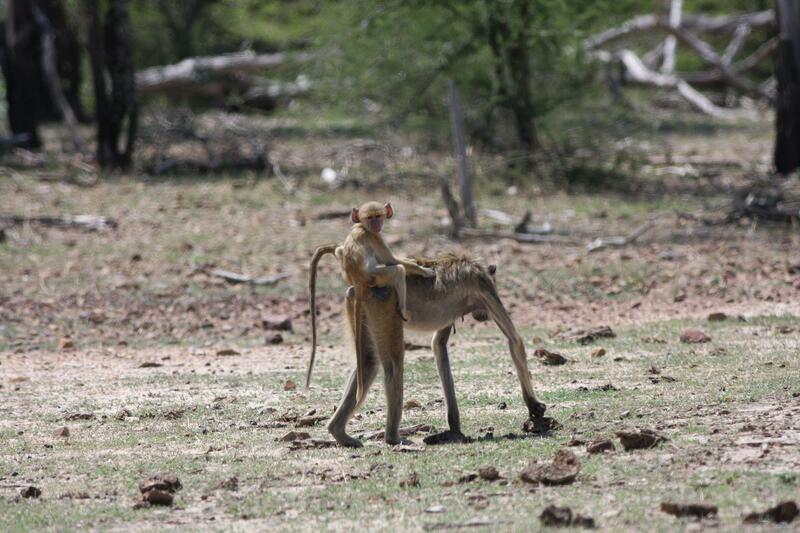 It is a common behaviour practised by most grazing and browsing animals that are undernourished or lack vitamins. 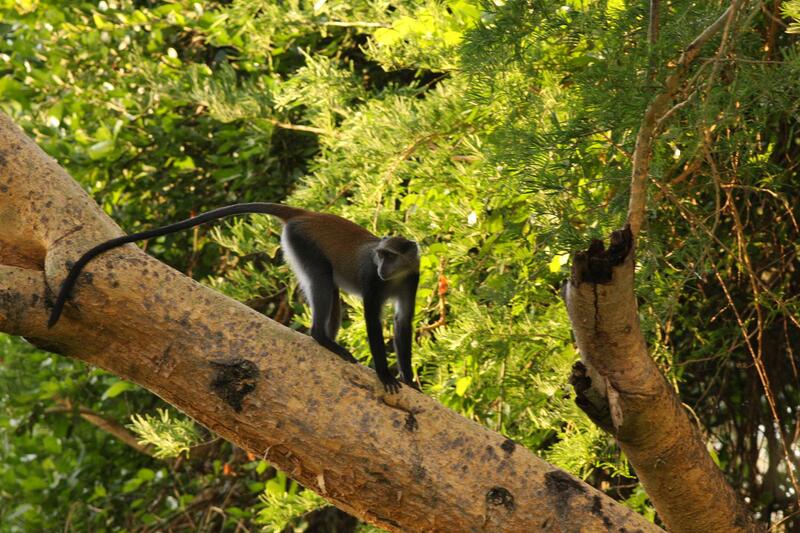 As the forests fill up with fruits and foliage we are also seeing a lot of our primates more regularly. I had a great look at a troop of Sykes monkeys in the Beho Beho river forest and we got some awesome images of these “gentle monkeys”. They are normally quite shy and don’t linger in open areas for too long. 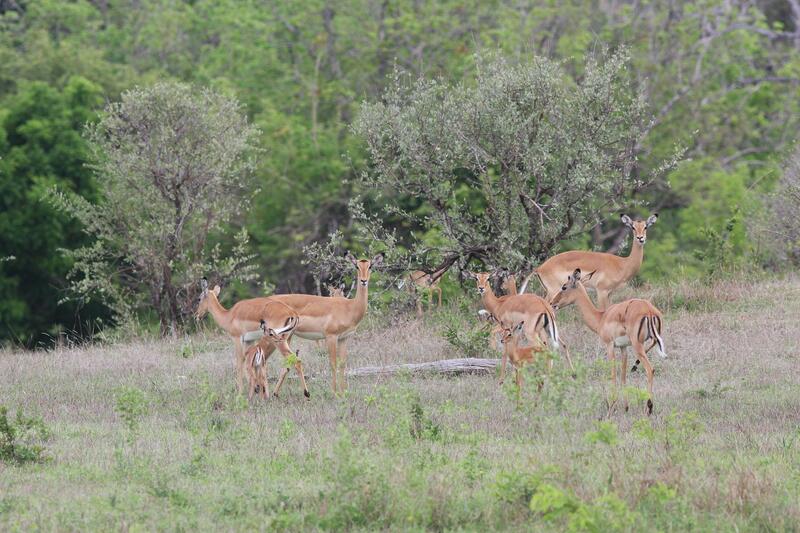 This entry was posted in Werner, Wildlife and tagged Beho Beho, camp, lions, safari, selous, warthog, Werner. Bookmark the permalink. My husband and I will be experiencing our first safari in January/14. I love the bush logs as this gives me me an idea of what I may be about to encounter. Great pictures, good descriptive writing. Thanks so much.